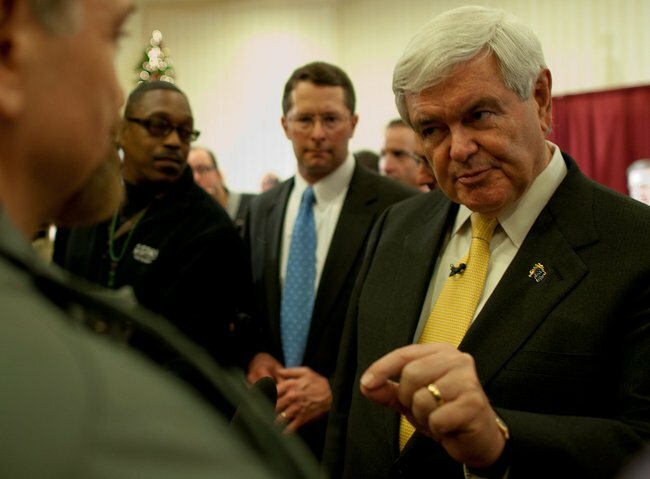 Just before his stunning victory in the South Carolina primary, Newt Gingrich drew the ire of the Hamas-linked Council on American-Islamic Relations (CAIR), the deceptive Islamic supremacist group that bamboozles many with its pose as a neutral civil rights organization. Gingrich, fumed a CAIR spokesman, was "one of the nation's worst promoters of anti-Muslim bigotry." How did Gingrich earn this dubious honor? By telling the truth about Islamic law, and making clear his determination to resist it. It all started last Tuesday, when Gingrich took a question about whether he would ever endorse a Muslim for President. "It would depend,” Gingrich answered, “entirely on whether they would commit in public to give up Sharia,” the Islamic legal code that mandates stonings, amputations, and restrictions on the freedom of speech and freedom of conscience, and institutionalized discrimination against women and non-Muslims. "A truly modern person who happened to worship Allah would not be a threat,” Gingrich continued, but “a person who belonged to any kind of belief in Sharia, any effort to impose it on the rest of us, would be a mortal threat." He even came out in favor of a federal law banning the use of Sharia in American courtrooms. "I think the time has come for us to have an honest conversation about Islamic radicalism. I don't think we should be intimidated by our political elites, and I don't think we should be intimidated by universities who have been accepting money from the Saudis and who, therefore, now have people who are apologists for the very people who want to kill us." In response to his statements last week, CAIR, which has several of its former officials imprisoned for various terror-related activities, thundered that Gingrich's “outdated political ideas look backward to a time when Catholics and Jews were vilified and their faiths called a threat." Gingrich would be foolish to ignore that threat or bow to CAIR’s demands to ascribe concern about it to “bigotry.” CAIR characterized Sharia as teaching “marital fidelity, generous charity and a thirst for knowledge," but left out the unpleasant bits. Anyone who wants to see what Sharia is like can look to the states where it is implemented, such as Saudi Arabia and Iran. Western apologists for Sharia claim that it is so multiform that it has no particular character that anyone can point to. In reality, wherever and whenever Sharia has been implemented, historically and today, it has looked pretty much the same, and has contained elements absolutely inimical to Western notions of freedom and human rights. Newt Gingrich is one of the few major politicians to acknowledge that the problem America faces today from Islamic jihadists is not simply one of terrorism, but of a larger attempt to insinuate elements of Sharia into American society and to assert the principle that where Sharia and American law conflict, it is American law that must give way. Gingrich is determined not to allow this principle to advance. Bravo.